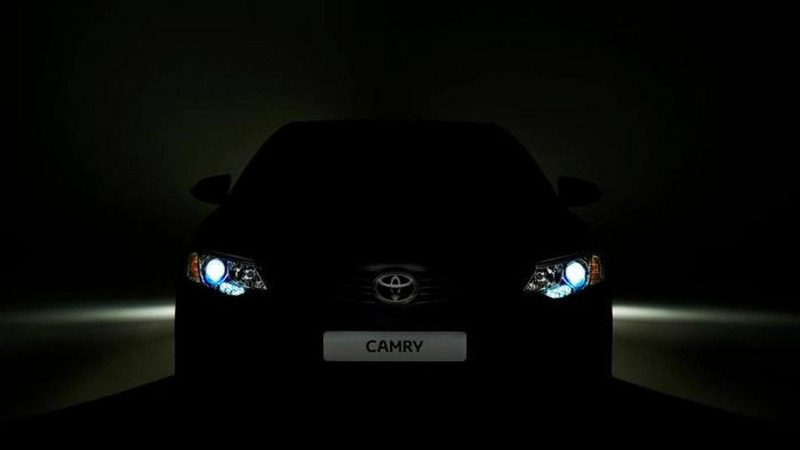 Toyota has released the first teaser image of the facelifted Camry, ahead of its debut at the Moscow Motor Show. Set to be offered in a variety of markets, the international Camry appears to be more conservative than the North American model which was introduced at the New York Auto Show earlier this year. While the darkened image doesn't reveal much, we can see a smaller grille that is flanked by restyled headlights with integrated LED daytime running lights. The model also has a prominent Toyota logo and familiar side mirrors. The company was coy on specifics but engine options will likely carryover. This means we can expect choices to include a 2.5-liter four-cylinder and a 3.5-liter V6.